The crowd rose to their feet twice in a roaring applause for two of GamesAid’s most prominent advocates last Thursday evening. Sports Interactive boss Miles Jacobson and Bethesda’s Rosemarie Dalton both swept the stage at the games industry’s most glamorous night. 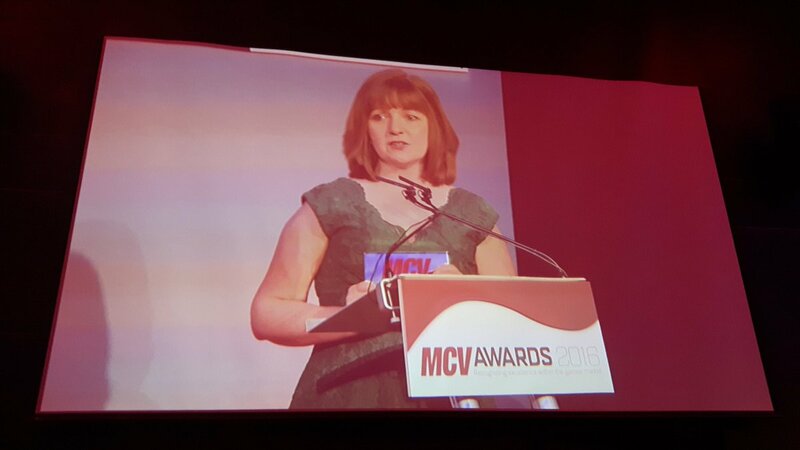 Jacobson and Dalton were not the only GamesAid heroes at the MCV Awards this 2016. Our trustee Dan Kilby took the Media Award for IGN and GamesAid video producer Caroline Miller took the Agency Award for Indigo Pearl. Let’s not forget everyone who placed their Tenner in the GamesAid envelope that night. They too are champions of GamesAid, collectively raising over £1,800 for charity. Thank you!